Imagine a Jimi Hendrix record without any of his guitar pyrotechnics. That’s the feeling you get from this efficient, workaday biopic about the godlike genius who came and went so quickly, leaving behind enough music for us to know how good he was. 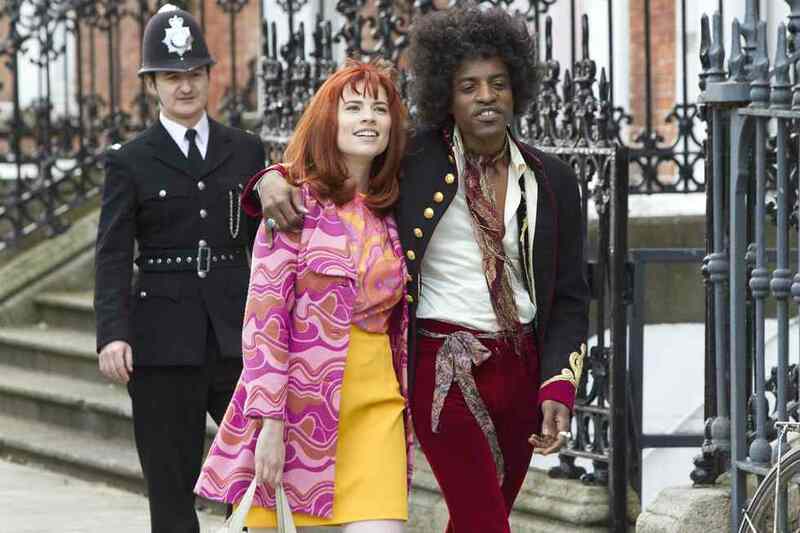 The film follows Hendrix’s transformative year in London 1966-67, makes glancing references to his influences and to his ethnicity (as you might expect from a film directed by 12 Years a Slave writer John Ridley). The ethnicity, it claims, Hendrix chose to ignore, which almost brings into focus a man who might have been remarkably forward-thinking culturally, a prototype of the “post racial”, or maybe he just didn’t want to get involved in anything outside music, man. That’s the film’s problem – what was Hendrix really about? – and it’s a nut it just can’t crack, mostly, I suspect, because it’s unwilling to put words in Hendrix’s mouth that he never actually uttered. It’s a pity because if overly respectful it’s not a bad film, with André Benjamin a remarkably believable Jimi, and he’s surrounded by quality turns Imogen Poots, as the posh rock chick who “found” him, Hayley Atwell as the more working class rock chick who became his girlfriend, and a particularly winning Andrew Buckley as Chas Chandler, the former Animals bassist who became his manager. The music is pretty electrifying too. The cabin in the woods film has life left in it yet. As Joss Whedon’s The Cabin in the Woods proved all you need is a good high concept and a determination to follow it through. In the case of Honeymoon it’s a honeymoon, of a loving but struggling couple (Harry Treadaway and Rose Leslie), the newlyweds using the out-of-the-way cabin because their budget doesn’t stretch to two weeks at Sandals on St Lucia. Actually, the honeymoon isn’t the concept at all, but I’m not telling you what is; why spoil a good movie? I will just say that the honeymooners’ relationship suffers, and that no matter what weird stuff is going on outside in the primal woods, there’s worse going on in the heads of the young marrieds. Writer/director Leigh Janiak marks herself out as a name to watch with this debut, which is impressive for three reasons. It looks like the work of someone who isn’t a first timer; it moves with genuine pace and economy and doesn’t waste any time with the sort of wheel-spinning scenes that cabin-in-the-woods movies usually go for (bongs, or old vinyl records or earnest late-night talks about the meaning of life, or permutations thereof); it has a genuinely good idea behind it, rooted in one of those fears we all have, the sort that make us wake up sweating in the night. Fourth thing: Harry Treadaway and Rose Leslie’s entirely committed, not-to-camera performances. Oh go on, fifth thing – Heather McIntosh’s suggestive, spooky soundtrack. Here’s a famous film from 1967 that’s fallen by the wayside a bit. This 1080p restoration (if you’re watching on the Blu-ray of this dual-pack released by Eureka) is entirely what it needs, sharpening up the visuals of a film designed to operate at the lush end of the spectrum – Stanley Donen directed Singin’ in the Rain and what he doesn’t know about colour, framing and showbiz pizzazz… Add to that the soundtrack by Henry Mancini, clothes by Paco Rabane and Mary Quant, colour by Technicolor and you’ve got a film heading in one direction. Coming at us from the other direction is Frederic Raphael’s script, a sour and dyspeptic analysis of a marriage gone wrong, a look at 1960s free love for the too-old parents of the kids who were living it. It’s probably this ironic disjuncture that’s stopped the film’s accession to classic status, but I think it makes it. Plus there’s the performances by Audrey Hepburn and Albert Finney, as the couple we meet in three timelines travelling across Europe – falling in love, falling out of love, falling apart – Hepburn a brittle bird who catches the artificiality of it all (as she did in Donen’s Charade), Finney a bluff dog with a nice line in deadpan. Both are too old for the younger sequences, and the film’s insistence on dressing Hepburn as a mannequin is occasionally distracting (who doesn’t travel in a pvc wet look trouser suit?). Or maybe that’s the point of it. Think of it maybe as a prototype for François Ozon’s 2004 romance-in-reverse 5X2, but done with bitter gaiety, made by the finest frontroom and backroom boys in the world. If you’ve ever seen the BBC comedy Outnumbered, you’ll know immediately what its creators, Guy Jenkin and Andy Hamilton, are doing here. Outnumbered relied on the adults sticking to written scripts while the children were merely told a vague outline of the scene and were then left to fend for themselves. The results when they worked were spectacular, with five-year-olds asking unanswerable questions, making cute profound remarks and forcing the adults to sweat buckets to answer them or keep a straight face. Exactly the same technique is used here, as we follow a family on a visit to ailing grandpa Billy Connolly. Parents Abi (Rosamund Pike) and Doug (David Tennant) are no longer living together but are making as if they are because, we learn, grandpa isn’t expected to last very long. All the kids have to do is not give the game away. Again, it works brilliantly, the improvising kids in effect ganging up on the adults – exactly as happens in big families. I’m not going to say what transpires up there in Scotland, with grandpa, Doug’s uptight, very rich brother and his vinegary wife (Ben Miller, Amelia Bullmore), but the whole thing has an Ealing-esque sense of feelgood (and slight overplaying), and until it missteps near the end by adding too many plot turns in too short a time, it’s a funny, entirely enjoyable film. And notice how freely and joyously Connolly interacts with the kids – a lifetime in freeform stand-up counts for something. This animated adaptation of Alan Snow’s book Here Be Monsters! is by the Laika studio (set up by Nike founder Phil Knight). And like their two previous biggies, Coraline and ParaNorman, it’s remarkably well animated – steampunk meets Wallace & Gromit meets Jan Svankmajer. Rich with arcane detail, funny and with a good bit of edge, in other words. The story is fine too, reminiscent of something Dickensian – Oliver Twist or Great Expectations – about Eggs, a kid who has been brought up by the feral, nocturnal but benign Boxtrolls (Borrowers who resemble cardboard boxes) until machinations above ground and a glimpse of an attractive human girl throw Eggs into danger. Maybe it is the lack of an actual feeling of danger that lets this film down for the older viewer, but I can imagine young kids enjoying the story, and the extreme detailing of Laika’s stop-motion animation (with a lot of digital assist, I’m guessing) will give them plenty to rediscover on repeated viewings. I had the same slight “meh” about the actual storytelling aspect of both Coraline and ParaNorman too, though here you can’t fault the voice cast, Ben Kingsley in particular giving it his all as bad guy Archibald Snatcher. And Richard Ayoade, Elle Fanning, Jared Harris and Nick Frost all also doing for the voices what the animators are doing for the film’s look: giving it colour. The Riot Club is the story of a select club of appallingly entitled members of the British upper class, who meet to say “ra”, shout “arse biscuits” and trash any tavern that will entertain them. The club has been going since the days of wigs and capes, as we see in the opening scene in which a posh person is caught casually deflowering the wife of a man who is his social inferior, and we then fast-forward to the present day where young, democratically inclined but posh Oxford student Miles (Max Irons) is recruited into the Club and then has his conscience tested as its members behave in increasingly outrageous fashion, culminating in the laying to waste of a gastropub. Some critics have objected to the simplistic nature of this film, as if it wasn’t meant to be simplistic, and there’s not much point watching if you don’t want a bash-the-rich screed which is aimed at similar real-life clubs (the Bullingdon, whose former members include current British prime minister David Cameron, springs to mind). My objections were that I was constantly struggling to work out who was who, such was the cardboard-template nature of Posh Boy A or Posh Boy B. Douglas Booth stood out, more I suspect because he seems to have borrowed Rudolf Nureyev’s cheekbones and lips than because of anything he did. In fact there’s are a lot of good looking chaps here, as well as good looking but badly underused girls (Jessica Brown Findlay, Holliday Grainger) who, being females and from the lower orders are lucky to be in it at all, what? Expect very little and you might be entertained, and remember that as a weapon in the class war The Riot Club is a blunderbuss, not a neutron bomb. Yorgos Lanthimos’s 2005 debut is finally released, off the back of the success of his Dogtooth and Alps and in hot anticipation of The Lobster later this year (whose cast list alone – Léa Seydoux, John C Reilly, Olivia Colman, Rachel Weisz, Colin Farrell – is hellishly intriguing). 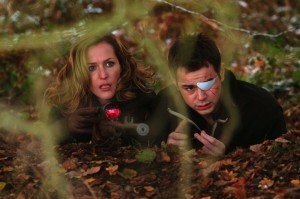 There was no such a cast lining up to take any role for Lanthimos in 2005, this film being right there at the start of the Greek Weird Wave and probably just looking plain wrong then rather than the deliberately alienated, cool and taciturn it looks now. I suppose Aki Kaurismaki might be a reference point, as Lanthimos introduces us to a string of individuals – a photographer, a car salesman, a rather blank looking maid, an organiser of pageants – whose connections to other people are always mediated. The photographer by his camera, the maid by her acting out auto-asphyxiation in the rooms she’s meant to be cleaning. Shades of Alps there. Like a lot of debut films by gifted individuals, there is clearly something going on here, lots of fascinating stuff, and Lanthimos’s overcast shooting style seems already fully developed – this isn’t the sunny Greece of white cubic buildings and azure seas. But it can’t be denied that Kinetta is a frustrating film too, Lanthimos deliberately withholding details that would enable us to make an emotional connection. Perhaps best seen as an “it all started here”.